Pop Up Pizza provides speedy pizza delivery in the 89109 from 11am to 2am, and we even serve VEGAN pizza and dessert! We make things easier for you by offering online ordering, or you can just call (702) 366-0049. 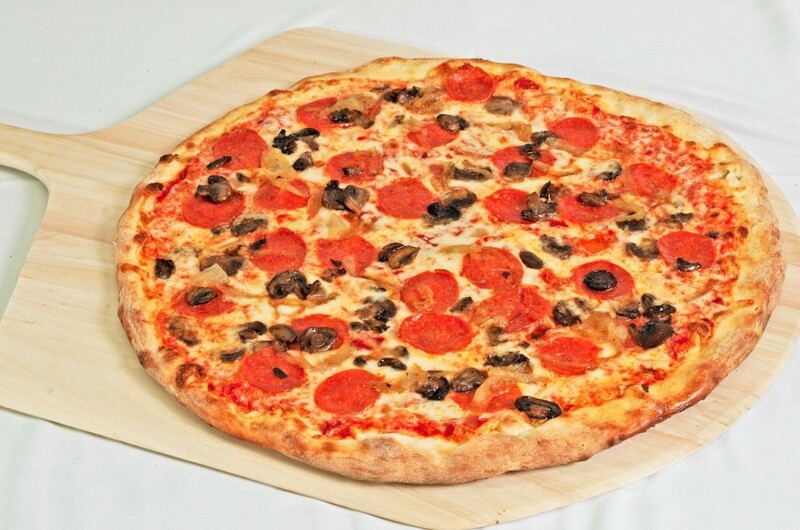 Variety is the spice of life, so we offer toppings ranging from classic pepperoni and mushrooms to potato and artichoke. Choose from one of our signature creations, or come up with your own. Don’t forget to ask about our dairy-free cheese! We’re one of the only pizzerias that serves vegan pizza in Las Vegas. Enjoy your pizza with one of our mouth-watering side dishes, including onion rings, chicken tenders, wings, and fried pickles. Looking for a deal? Buy nine slices and get the tenth for free; and be sure to like us on Facebook to get exclusive savings and great coupons. Check out what some of our customers had to say about us on our Yelp page. If you’ve already experienced Pop Up Pizza, hop online and leave us a glowing, five-star review!